Back in 1987 the eyes of the rugby world were set firmly on two small islands floating in the south-western Pacific Open. New Zealand were playing host to the first ever Rugby World Cup and the 3,300,00 strong population of the north and south islands were hoping and praying for a home victory. The All Blacks duly obliged and the Rugby World Cup returns to the New Zealand shores in 2011 with around 4,395,000 locals hoping for the same again. The bookies certainly believe it’s New Zealand’s to lose and Graham Henry’s men have been made the 8/13 favourites and as the number one side in the world, it’s only the New Zealanders themselves that can stop them lifting the Webb Ellis Cup. 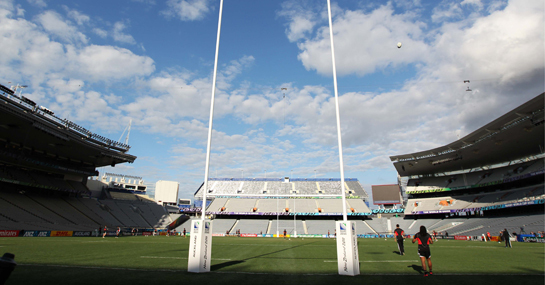 Tonga have been handed the pleasure of facing New Zealand in the opening match of the 2011 Rugby World Cup and the All Blacks are an incredible 1/750 to win. New Zealand have met Tonga on three occasions, twice in a world cup, and on all three occasions have the All Blacks won. Twice they have run riot and in the 2003 World Cup they won 91-7 and scored 13 tries and in the match in 2000, New Zealand amassed an incredible 102 points to Tonga’s 0. The main handicap has been set at 60 points and you can back New Zealand at 1/1 with a -60 point start. For those among us who are a little more adventurous, New Zealand are 7/2 to win with a -78 point start. Tonga are not terrible but they are in the uncomfortable position of facing a revved up hosts in the opening game and while it backfired on France in 2007, don’t expect it to on Friday morning. With the wealth of attacking talent at his disposal, any side Henry puts out is dangerous but keep an eye on Richard Kahui in this tournament and the winger is 6/1 to get the first try tomorrow.